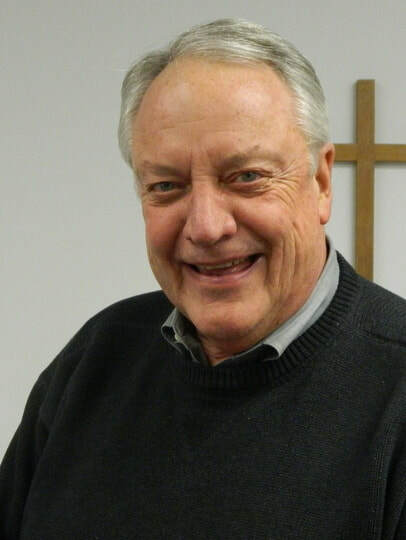 Prior to entering the Holy Ministry, Pastor Kinne taught high school (1975-1989) holding degrees from Concordia College, Seward, Nebraska and the University of Michigan, Ann Arbor. He graduated from Concordia Theological Seminary, Fort Wayne and was ordained in 1989. He and Debra—his bride of 38 years—have been blessed by the Lord with five children and eight grand children. Pastor Kinne is the co-host of Devotional Moments from St. Matthew seen on Facebook and YouTube. Pastor Blonski was called to St. Matthew Lutheran Church in August of 2011, after serving parishes in California, Wisconsin and Michigan. He was ordained in 1995 and is a graduate of Concordia Seminary (1995) and Concordia University Wisconsin (1987). Pastor and his wife, Nancy, have three sons – Eddie, Kurt, and Mark. Pastor Ed Blonski preaches and leads worship regularly. He also teaches the Men’s Bible Study on Saturday mornings. He and Pastor Kinne take turns leading the Sunday Morning Adult Bible Study and the Sunday morning Adult Discipleship Class. 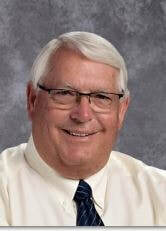 He serves as the Pastoral Advisor to the Board of Christian Education and oversees the Youth Ministry of St. Matthew. He also leads Evangelism Training and oversees the Good News Callers – a ministry that reaches out to our weekly guests. In 2004 after reading The Man in the Mirror by Patrick Morley and Wild at Heart by John Eldredge, he founded True Men Ministries to help men and their families fulfill God's dream for them. Pastor Blonski writes two devotions a week – found at the True Man Blog – and has published five books of devotions in the In My Father’s Footsteps series, which you can purchase here: http://truemen.org/books.html . He also produces and hosts a podcast called “The True Man Podcast” truemen.podbean.com. He the co-host of Daily Devotions, seen on Facebook and YouTube. 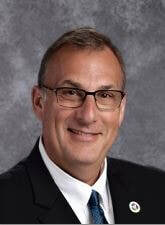 In addition to being the Church and School Administrator, Doug is the Principal of St. Matthew Lutheran School, the Cemetery Administrator, Director of Human Resources, and the head of security for the church and school. Kristin was born and raised in Mount Prospect and currently resides in Arlington Heights. In 2012, Kristin graduated from Carthage College with a degree in sociology. She loves spending time with family and friends and also enjoys active recreation. Her faith has always been at the front and center of her life, and applies it to each aspect of her day. 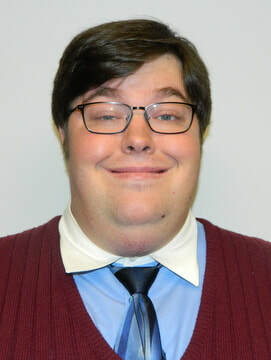 Previously to serving in the Music Ministry at St. Matthew Lutheran Church and School, Michael served His Lord at Faith Lutheran in Arlington Heights, Grace Lutheran in Villa Park and prior to the historic Grace United Methodist Church in Lake Bluff for 5 years as organist/choir accompanist. Michael joined our Ministry Staff as the Principal Organist, December 1, 2014. Previously to this date Michael assisted in the Music Ministry by playing the organ on Saturday evenings, weddings and funerals at St. Matthew-Hawthorn Woods. Michael did his undergraduate studies at North Park University in Chicago where he studied the organ under Mr. Leon Nelson. While at North Park, Michael was responsible for creating the annual "Hymn Festival" series in 2009 which continues to this very day. In 2003 Michael earned the Service Playing Certificate (SPC) from the American Guild of Organists. Jim Kuehm manages the music for the Contemporary Services and directs the Contemporary Praise Teams here at St. Matthew. He comes to us with 50 years experience in LCMS Lutheran Contemporary music. Jim played the first "Folk Mass" church services at several Northwest Chicago LCMS Churches and led Luther North High School Chapel services in the late 60's and early 70's. He has an Associates Degree in Classical Music Theory and Composition and in Double Bass Performance from Wright College in Chicago. Jim has been involved and has led many different styles of professional secular music groups over the years including Rock and Roll, Jazz, Wedding Ceremony and Reception, Folk, and Popular Music. He played in Prince of Peace Praise Band from 1995 to 1999. Jim played in the Praise Band of Immanuel LCMS in Palatine from 1999 to 2002. 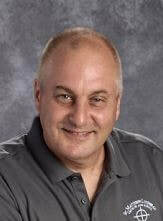 Jim then played with St Peter LCMS in Schaumburg on Sundays from 2003 to 2005. 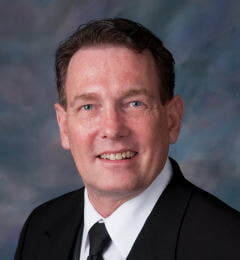 Jim was asked to be Praise Band Director at St. Luke LCMS from 2005 to 2008 and went on to be Praise Director at Lord of Glory LCMS Grayslake from 2008 to 2011. Jim was then Director of the Saturday Praise Team at St. Peter LCMS in Schaumburg from 2011 to 2017. Jim began directing the St Matthew Praise Team in 2014. Jim sings, composes and arranges songs, and plays acoustic guitar, electric lead guitar, and electric bass. Deb has been a Nurse since 2009. She joined the Army Reserves right after obtaining her Bachelor in Nursing at Clarkson College in Omaha Ne. and was sent to Fort Dix NJ for a year for her mobilization instead of out of country. While there, her husband Tom took a job at Abbott Molecular and they moved to Illinois in 2013. The Lord called her to be St Matthew Lutheran School and Church Parish Nurse in 2015. As a Parish Nurse, Deb practices to the holistic side of the congregation. Deb describes her ministry as "I am here to listen, help, be a friend, ask health questions of, and most importantly pray with you." Deb enjoys participating in various Bible Studies and other Church activities."